Almost biblical in its grandeur, this majestic scene of Bridal Veil Falls, Yosemite by Bierstadt, fraught with soft light and color, reflects Bierstadt's conviction that divinity dwells in between the mountain and the century forests. SPECIAL NOTE : The painter will make the reproduction as close to the original oil painting as possible. 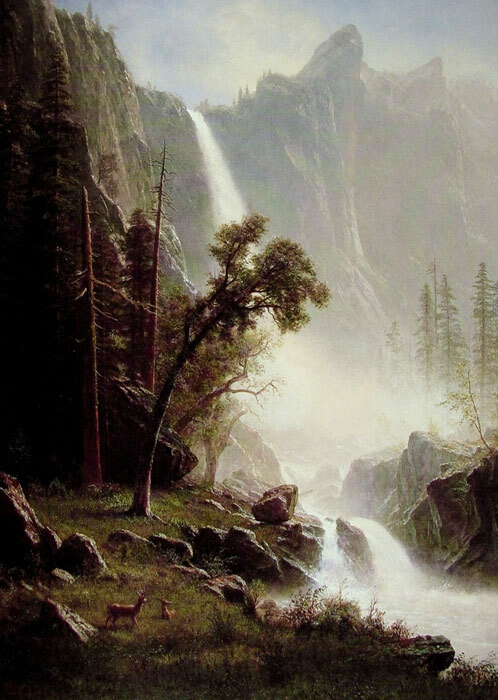 If you want your painting to alter from this likeness, please email us and " Bridal Veil Falls, Yosemite.1871-1873 " will be reproduced according to your special requirements.